The CCI culture truly defines who we are, what makes us different and why our team is able to better serve our clients. We hire people who thrive on reverence for others and possess passion for creating amazing structures. Our team values great relationships and works eagerly towards our vision of making every client into a “Raving Fan”. Not to mention, they are some of the most talented builders in the business. That passion is evident in the work we do on your building as commercial general contractors. Every member has an inherent interest in every project, and a stake in the finished product. We have high expectations of each other and work as a team to build projects we are all proud of. At CCI, we work diligently to foster the extreme success of every person here. Their purpose is primary, and we nurture their goals by requesting employee input and involvement at all levels. We gather together quite often and we communicate constantly as it’s a necessity to serve our clients at this level. We meet in conference rooms, offices and on site, just like you would expect. But we also share a meal and trade ideas, concepts and experiences. Without this synergy we would be just another contracting company. Our employees are charged with bringing integrity, commitment, and intellectual precision to each project and they are happy to do it. This culture has allowed CCI to become a leader as commercial general contractors. "When people are emotionally invested, they want to contribute." There is no doubt that the success of CCI is dependent upon its winning team. At the heart of our passionate organization is a champion who leads by example and inspires those around him to reach beyond the limits of their own imagination for personal and professional achievement. 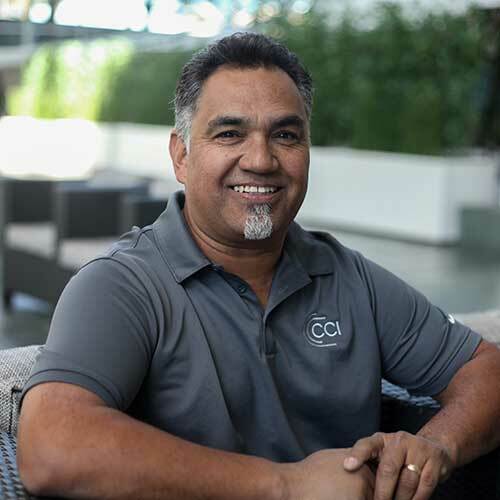 Through his vibrant entrepreneurial spirit, progressive style of culture building, forward-facing communication skills, and relentless commitment Carlos creates much more than just structures. Mr. Cruz is the leading force behind this new era in commercial building, bringing his dreams of re-shaping an old industry to reality. He has positioned CCI to become one of the most sought after design-builders in Southern California. Carlos inspires those around him to possess reverence for others and passion for creating amazing buildings. The team value he instills helps foster great relationships inside and outside the company. This foundation of interpersonal communication skills drives CCI everyday towards the goal of making every client into a “Raving Fan”. Carlos has an innate ability to master new technology, with a focus on the implementation of procedures for commercial design. He provides strong supervision of the design and construction teams, working to meet the demand in today’s market. He develops deep relationships within city agencies to help expedite the plan design approval process. As a leader he ensures that each person on every build is focused on meeting or surpassing the project objectives. 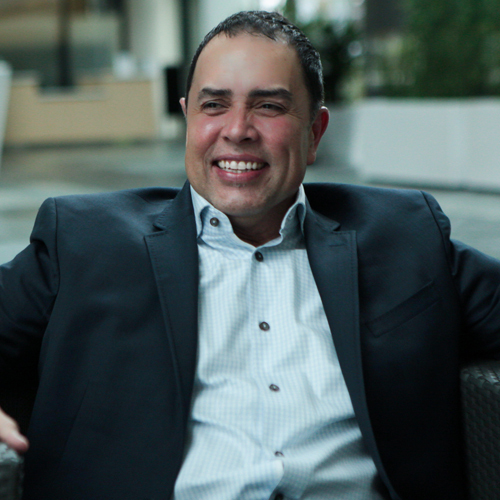 Carlos is only interested in delivering quality buildings that will achieve or exceed the forecasted benefits. Mr. Cruz is accustomed to overseeing multiple projects, providing leadership and direction while keeping a sharp eye on details and budgets. He is flexible and versatile and thrives on deadline-driven environments. His history of high-profile projects include Target, Cost Plus, LA Fitness, Ikea, Vons, Ralphs, Food 4 Less, Sprouts, Gelson’s, Pavillions, Smart & Final, and Old Navy. 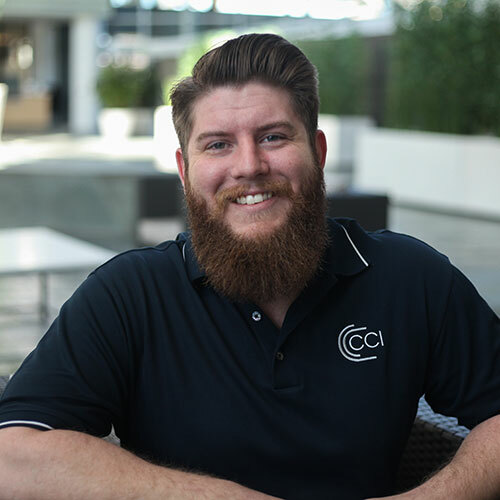 “What I like most about working at CCI is being fully immersed in all aspects of an exciting, fast paced and fast growing organization. The synergy that resonates throughout the organization is evident when I see how efficiently we complete projects." David thrives on a good challenge, especially when it comes to the creative process. Developing systems that bring more efficiency to CCI’s operations and ultimately add more value to our clients is what drives him. “Dealing with clients is my favorite part. If we have come up with a new solution to help make their business grow by way of the build, I love showing them. 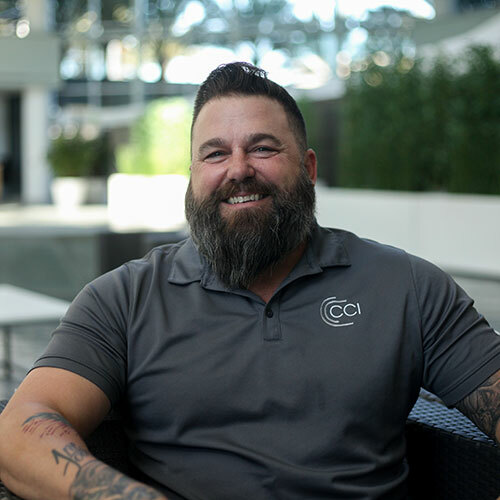 Getting to know them personally is not just a bonus, it’s a reward.” This passion is why David is leading the charge together with CCI to deliver excellence in commercial buildings. 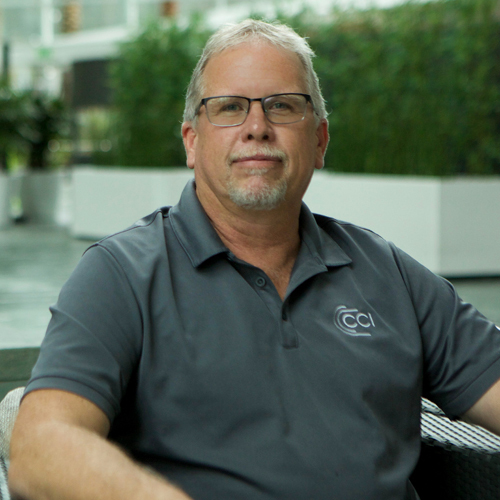 With more than 23 years of experience in key executive positions, David has been responsible for the complete profit and loss accountability in all facets of general construction operations. This includes business development, pre-construction design, estimation, operations and project management. He is responsible for all facets of project management in the growing Northern California region. His notable project list includes a $28M Walmart Super Center on 48 acres with 211,000 Sf of retail. In addition, David managed a $972M project for Big Lots where he converted existing retail buildings for the new tenancy along with site improvements. TGIF Restaurants also relied on his operational experience for a $6.4M project including 2 design-build properties. Another project at Northrup Grumman totaled $10.8M and required upgrading military-use buildings to a new state-of-the-art design. Besides keeping a close eye on various CCI projects, David is happily watching over his most important “project” — raising his family. Summers are his favorite time of year, with family trips on the itinerary. His favorite activities include exploring the Sierra Mountains, camping, off-road motorcycle riding, boating, firearms and archery. Education: Bachelor of Science, Construction Management. California State University Chico, School of Engineering. As a Project engineer, Michael is an integral part of the team and assists in planning, executing and managing with accountability for scheduling, cost control and safety on multi-million dollar projects. He is responsible for controlling budgets, providing day-to-day communication with the project team to ensuring that jobs remain on schedule and within budget. Michael holds an excellent track record of strong working relationships with owners, architects, and engineers. He works closely with the Project Manager in dealing with technical and contractual issues. Compassionately known as the "Sniper", Michael is known by the team as the guy that can analyze a challenge, target the cause, pinpoint a solution and execute the resolve. 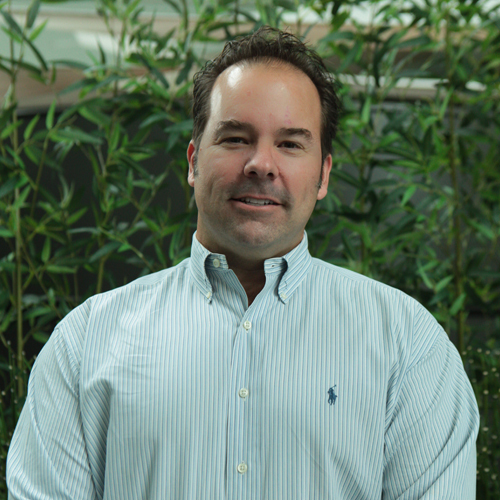 Michael started his career in construction right after college remodeling some of the busiest restaurants in the US. His skills grew quickly and was soon scooped up by specialty construction company that built massive walk in freezers and coolers all over the US, some costing up to $3 Million dollars. He went on to be a Field Superintendent/Project Manager building fitness gyms across California. His target-like approach to life stems from his background as semi-pro baseball player. His humble personality hides this little known fact, but Michael played catcher and was able to throw down to 2nd base with a pop time of 1.8 seconds at 80+ MPH. Now when the week is over you might find Michael climbing a mountain in search of the ultimate camping spot. He is a passionate hunter and loves the thrill of tracking and chasing game and in marksmanship. On very special weekends you might even find him in a shooting competition with 100’s of other devoted sharpshooters. “What I like most about CCI are the people that I work with. We have each other’s back and work towards a common goal." Rick’s day quite often starts with the greeting “Hey Big Daddy” from one of the crew. Rick has rightfully earned that title from his peers with over 3 decades of complex project management under his belt. He is a results-driven builder with experience-based knowledge of commercial construction operations. He is adept at conveying complex building concepts in a simple and compelling manner, while leading personnel through daily tasks and ensuring the highest performance for each project. His career milestones include the St. Regis Monarch Beach Resort and Spa, a $250M, 22 acre, five-star resort. Rick also oversaw the completion of the Hollywood Back Lot project including buildings, walkways, landscaping and underground utilities as Superintendent for the $1.4B project. Rick holds a California State “B” Contractor License, is OSHA 10 and LEED Certified. He is also a member of the U.S Green Building Council, Orange County Chapter and a member of the Sustainable Home Committee in Orange County. On any given weekend Rick makes his second home in the outdoors. You might find him barreling down Kern River in his kayak. Or, On more peaceful days, behind the barrel of his shotgun chasing dinner. Education: Saddleback College, Santa Barbara College. "I enjoy the people here at CCI. They are a very talented yet a humble group. I don't have to worry about someone's ego getting in the way of our commitment to the client. 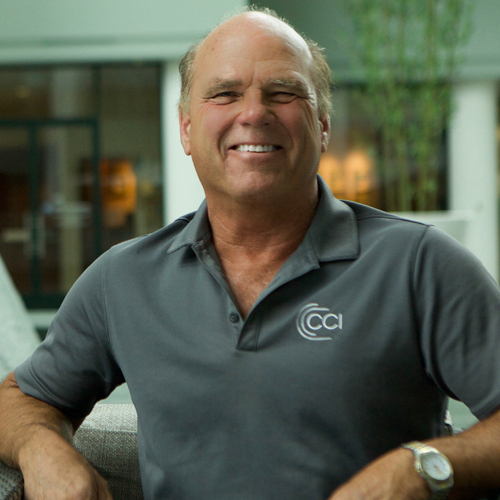 CCI is a small company with a fun attitude, which is a very fresh approach to the industry." Barry Strubel is responsible for coordinating the efforts of superintendents as well as other field personnel on the job site. As a seasoned veteran, he knows how to get the job done. Barry is a valuable resource when it comes to assisting our superintendents with technical support once a project is underway. Barry implements budget control procedures long before the project begins. During the planning phase of every project, he also takes a proactive approach helping to identify high risk situations based on the scope of work and surrounding area. On a daily basis Barry’s duties include supervising superintendents, communicating with the client, scheduling contractors and coordinating visits from public service departments. Among his notable accomplishments Barry is one of few at this professional level who has worked on projects in over 40 states, including Alaska. He has enjoyed traveling and gathering the knowledge from so many different climates and building conditions. David supervises all the trades for every project. Back in the late 80's you might have found him wrestling some 2 x 4's to the ground or convincing a 1000 lb truss to spend the rest of it's life 18 feet in the air. Today you will find him grueling over site plans, daily reports, writing job schedules, holding safety meetings and strolling methodically about the project site and reminding everyone that the proof of success for every job is in the details. David should have his own entry in Wikipedia, under getting things done RIGHT. David brings a vast amount of experience in development and implementation of projects on large, multi-phased commercial and hospitality projects. His experience includes work on properties for Wells Fargo, Union Bank Of CA, Togo’s, Yogurtland, Sport Clips and more. If you ever eat at the Water Grill next to the famous South Coast Plaza in Costa Mesa you can thank David for helping to create an environment like no other. Copper lined bar tops, dramatic reclaimed wood beams and a massive glass oyster bar housing thousands of pounds of ice and deep sea treasures are just a few of the fine features created by experts like David. Steve’s strong suit has always been on the technical side, HVAC being his specialty. Going on 3 decades of experience he has mastered the skill of managing trades and scheduling inspectors. “My clients know that when I’m on the job, things go off without a hitch”, Says Rankich. One of his best memories in the business includes the installation of A/C units on the roof of the Union Bank building. Of course he had to have a bit of help moving those 30 ton Air Conditioning units, so he called in a Sikorsky S-58T helicopter to make the lift. Steve holds a certificate through Certified in Home Performance for energy efficiency. He has also received system-specific training courses in the HVAC industry, including Trane’s Variable Frequency Drives, Mitsubishi’s City Multi-Systems and the EPA refrigerant CFC Certification course. The self-proclaimed adrenaline junkie is a sucker for anything with four wheels and a turbo. If Steve isn’t at the race track you’ll find the gear head his garage watching the Indycar Series, particularly Ryan Hunter-Reay in the number 28 DHL car. He’d also be hard pressed to pass up a weekend of firing 12 gauge rounds at the local shooting center. 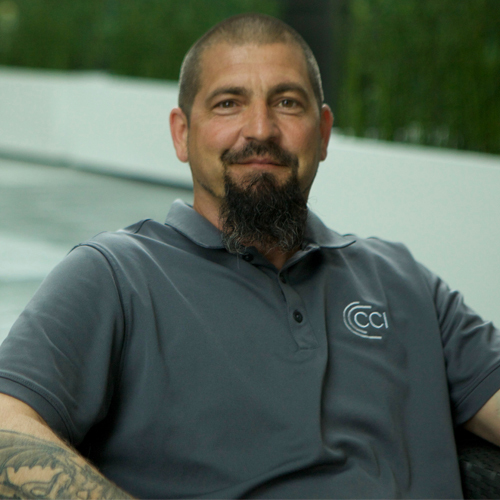 "What I like about CCI is the fact that it is a little company doing big things"
Don Castellon is a Project Superintendent for CCI's commercial contracting services. He is responsible for the coordination of all field activities on the construction site and worker health and safety. Making sure that our clients projects are delivered as promised is one his top priorities. His daily responsibilities include subcontractor coordination, supervising operations, ensuring quality and monitoring the schedule. Don has experience supervising the successful construction of various types of construction projects including medical, commercial office, interior alterations, parking structures and educational facilities. Don has held a California Licensed General contractor “B” & Electrical “C-10” since 2000. He is a US Army Veteran who has served 2 tours of duty with a rank of “E-5 Sergeant”. After seeing construction rod all week Don likes to wrestle a fishing rod on the weekends. He enjoys sport, saltwater and fresh water fishing. He loves big fish but admits he has always wanted to get closer to the action. He plans on traveling to South Africa one day to fulfill his lifelong dream of swimming with the great white sharks. 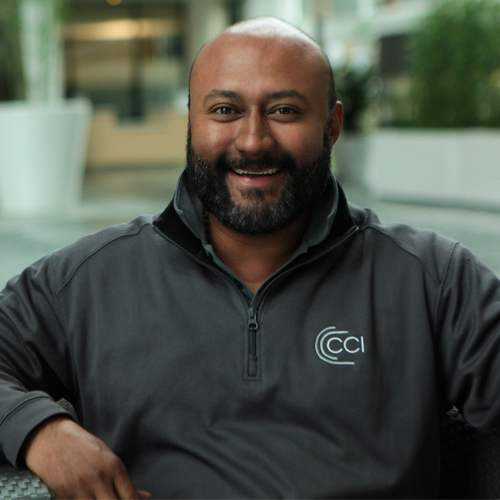 "CCI brought me in and immediately made me feel like part of the family. The entire team, not just management, offers support and leadership like I have never experienced. I feel like I can my focus on my path to a successful and prosperous career." Daniel provides on-site supervision under the direction of the Senior Superintendent and Project manager. He helps lead the efforts of both regular employees as well as subcontractors. He communicates with subcontractors and field staff to ensure adherence to schedules, plans, and specifications. His guidance and leadership skills are used to help make sure that tasks are carried out in a safe, compliant and efficient manner. Diligence is one of Daniel's core strengths which he uses to help ensure quality work within certain deadlines and time-constraints. Finally, Daniel tracks and records the completed work and coordinates the inspections needed to proceed into the next phase of construction. Daniel has served our industry for almost 2 decades in positions including Project Superintendent, Supervisor of Operations and Independent Contractor Services. He is CPR, OSHA, and Forklift Certified and has completed extensive Leadership and Management Studies. Above and beyond all the notable projects he has worked on, he is most proud of raising 3 children on his own through a balanced career. When Daniel isn't following inspectors around the job site you'll likely see him chasing a little white ball around the golf course. He admits that quite often he finds his ball on the wrong fairway but his passion never wanes. "I do everything with a smile, no matter how tough the game. Life is a long lesson in humility." When it comes to details, Leticia is Jedi-focused on bringing all the elements together in harmony. 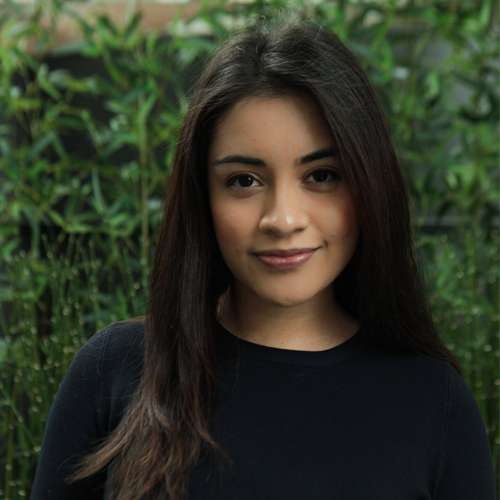 As Project Engineer, Leticia is responsible for making sure key team members have full command of every finite detail to ensure the successful completion of every structure. Besides keeping a close eye on CCI projects, Leticia cherishes spending time with her family. Activities like bike riding or going for walks have become some of Leticia’s favorite weekend indulgences. Leticia shows us see her creative side through graphic design. One day she hopes to use her talent to teach kids how to express themselves through graphic art. 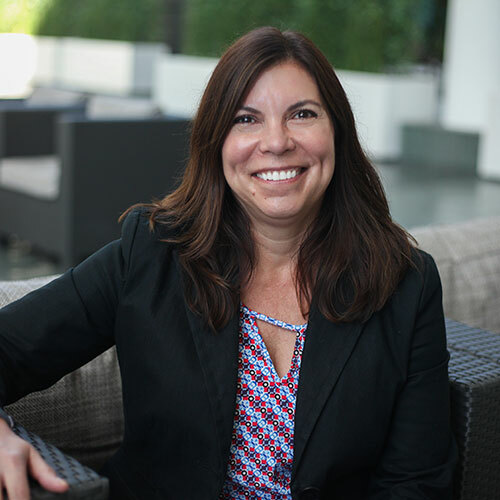 Shann has a strong background in the commercial service industry. She has a knack for designing and maintaining cost-effective and highly accurate accounting systems. The beneficiaries are both our clients and the CCI team, as projects get done quicker when finances are handled in a timely fashion. She enjoys finding new ways to take the paperwork out of work, which fits perfectly with our tech-forward outlook on business and highly communicative business values. She practices a collaborative style of process management in her department that ultimately brings maximum value to our team. Outside the office Shann has a passion for music. On any given weekend, you might find her racing through Chino Hills with the top down on her Miata. “My favorite bands are Phil Collins especially the song “In the Air Tonight” and Tool’s Forty-Six & 2. Their drumming talent is amazing to me.“ But it doesn’t end there, Shann also likes to make music as well with her friends, she actually plays the drums! Nicknamed “Snookie”, Shann has a reputation for bringing her most beloved items with her wherever she goes. Thankfully she brought her talents and character here to CCI for all of us to enjoy. 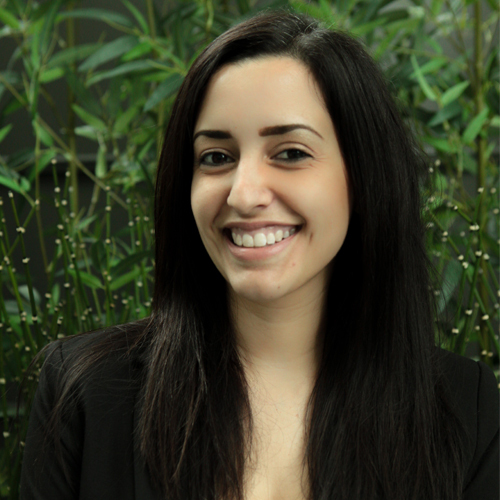 Mariana has a rich background of caring for people through her work in the medical industry. Along with her interpersonal skills, she refined her talent for memorization and organization, important skills that enable her to keep up with the intensity of CCI’s fast-paced environment. Transitioning to the role of caring for all the details and people involved in critical projects at CCI was a natural fit. As Project Engineer, Mariana is in charge of looking after everyone’s best interest while managing the details of vital projects.